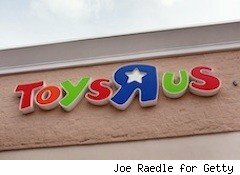 Just when you thought the extreme deals were over, Toys R Us swoops in with a new batch of toys on sale in what it's calling the "biggest Christmas sale ever." While we can't confirm that statement, we can say it's the biggest one we've seen since ... Black Friday, at least. There are 64 pages of items, and prices are valid Sunday, Dec. 5, through Sat., Dec. 11. There are more than 25 free gifts with purchases advertised and everything is available in stores and online (while supplies last). If you're buying online, there's free shipping on thousands of toys with any purchase of $49 or more. This sale announcement won't be the last before the holidays end. Consumers have shown a willingness to shop again, but retailers know the search for good deals hasn't gone out of fashion.